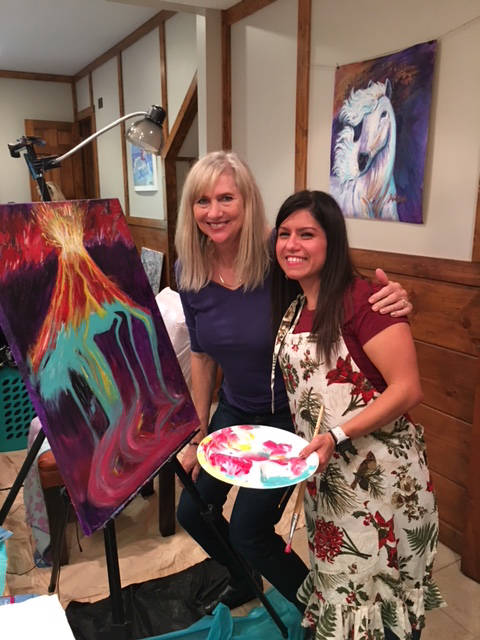 Janice chose FireCreek Mountain as the perfect atmosphere to be released into creative destiny. 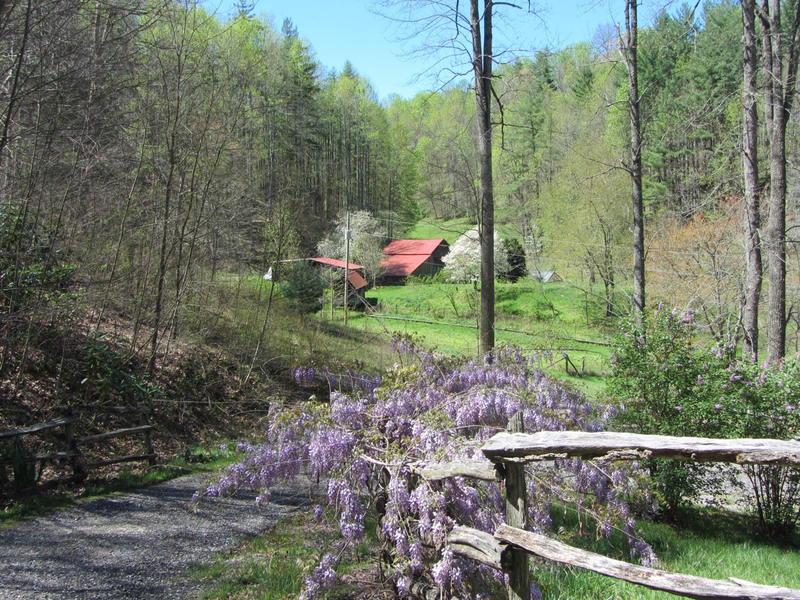 Located 35 miles from Asheville, FireCreek sits in the midst of the five highest mountain peaks east of the Mississippi, providing a space brimming with supernatural creativity. 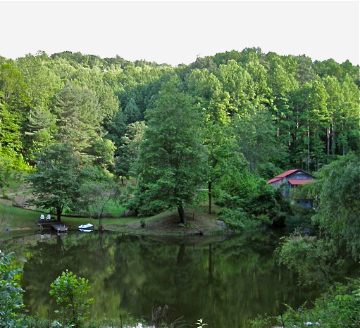 The land abundantly offers supercharged, creative portals and vortexes, a spring fed pond, mountain trails, running streams and wildlife. 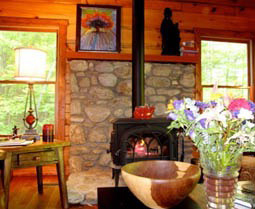 Each artist has a private or semi-private mountain-rustic room in one of the three cozy lodges. 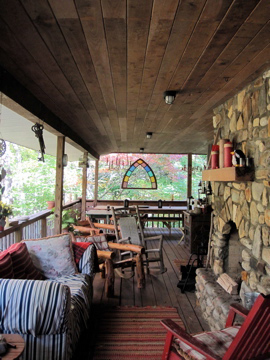 A blazing fireplace on the main lodge grand porch in cooler seasons welcomes many conversations and continuing creativity. 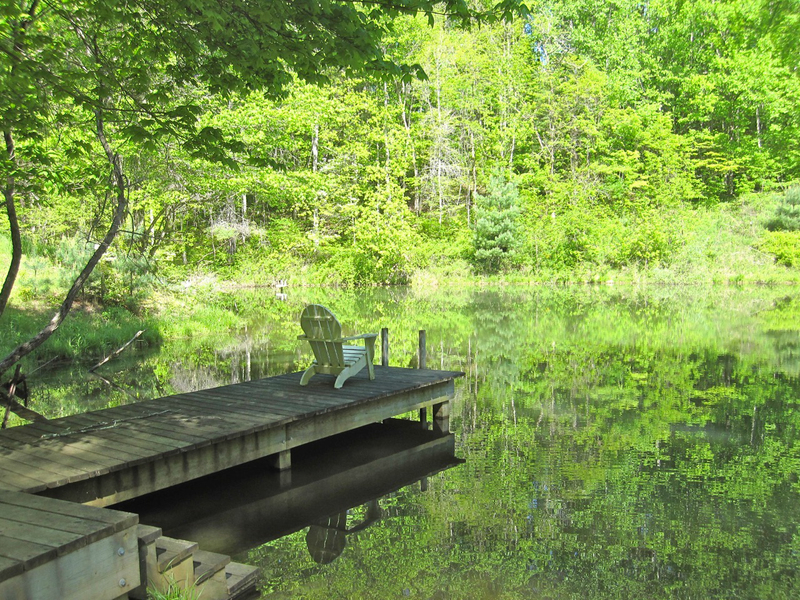 There are ample spots in the lodges and on the land to learn, connect and play. New friendships and life-giving connectivity just seem to happen here. “This retreat was AMAZING from start to finish! !LIFE CHANGING! !Don’t miss it!!!" “Words cannot express what this experience means to me! I am so thankful and feel like a new, very exciting season of my life has just begun." Janice VanCronkhite studied art at Florida State University and later at the Los Angeles Art Institute. 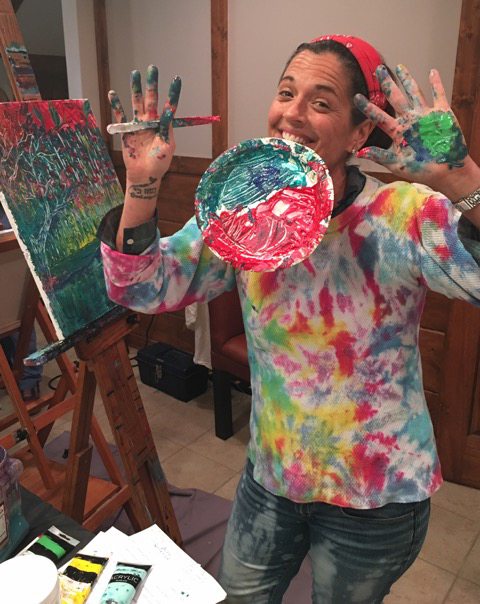 Before emerging as a leading prophetic artist, she had a career as a world-ranked tennis player, a church and ministry co-founder, and a worship leader. Today Janice is recognized for her bold energy creating, speaking and challenging individuals to be released into the fullness and anointing of God’s intended creativity. Her ultimate desire is to see His love and supernatural power exhibited through every kind of earthly artistic medium. 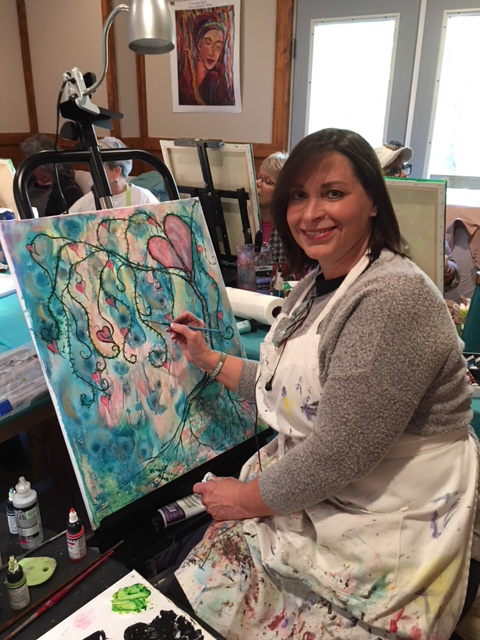 Janice takes creative impartation to a more in-depth and intimate level in her workshops and Free to Create Art Retreats. 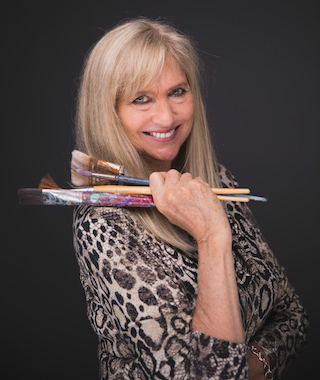 There she inspires and activates others to reach their imaginative pinnacle by tearing down the walls that have kept them from exploring and pursuing their own artistic journey. 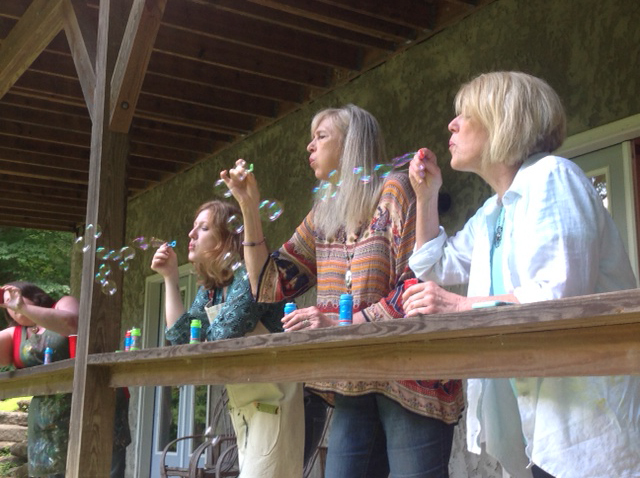 Claim your spot at a Free to Create Art Retreat. SPACE IS LIMITED. 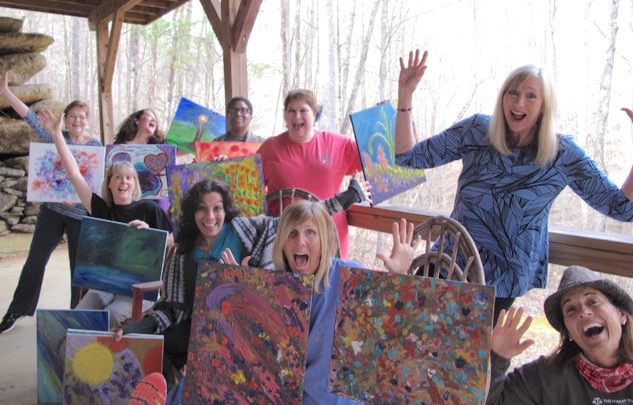 Your investment for the Free to Create Art Retreat is $795. $150 Deposit RESERVES YOUR SPOT. Remaining Balance of $645 is due 45 days prior to the retreat. To REGISTER, click on the retreat date you desire. Do I have to have any art experience to attend? Absolutely not! 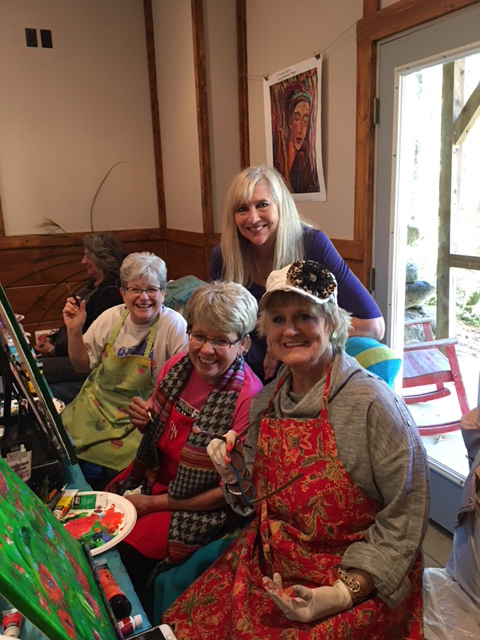 The retreat is great for all skill levels, from those who don’t know which way is up on a paint brush (as one newbie retreat participant claimed), to those who are professional artists. I prefer to use watercolors instead of acrylics that you teach with. Can I stick with my watercolors instead? Yes, but I recommend that all my students experiment with acrylics during the retreat. Can I arrive earlier or stay later? 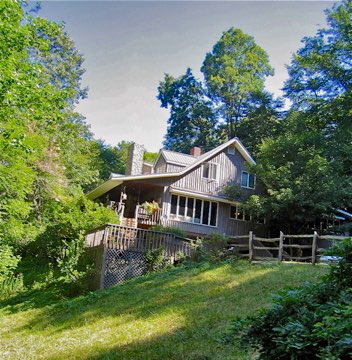 FireCreek Mountain is only available for the duration of the scheduled retreat. 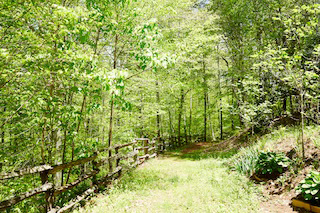 If you would like to come in the days before or remain in the days after in the Asheville or Burnsville area, there are many wonderful hotels and lodges to choose from. Do I need to stay at FireCreek Mountain during the retreat? 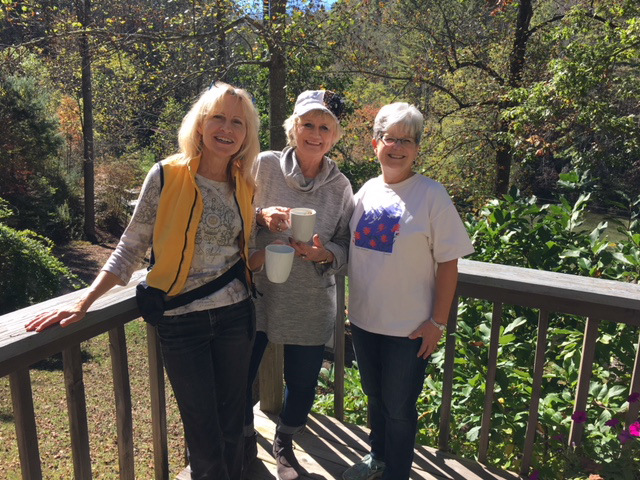 Yes, having all the participants stay at FireCreek Mountain, enjoying meals and free time together as well as having the option of working in the studio in the evenings are a great part of the rich retreat experience. I am flying in. 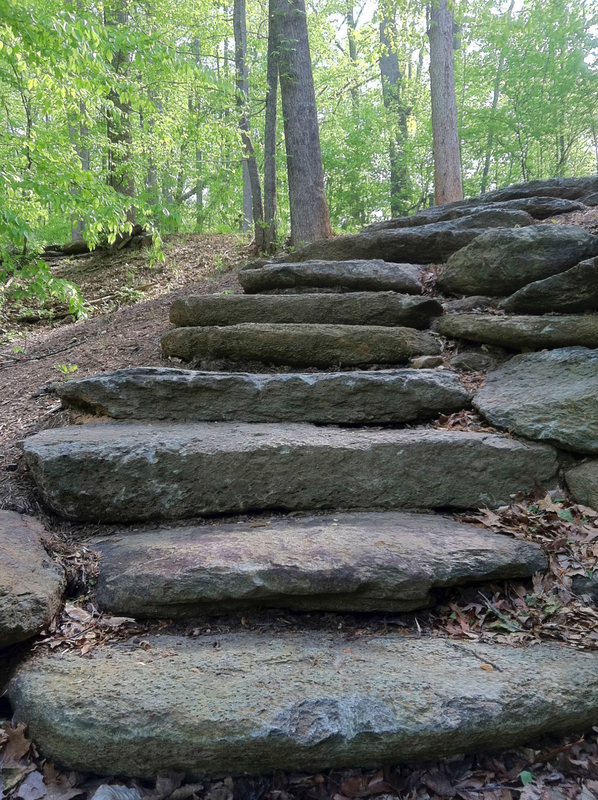 How do I get from the airport to FireCreek Mountain in Burnsville? 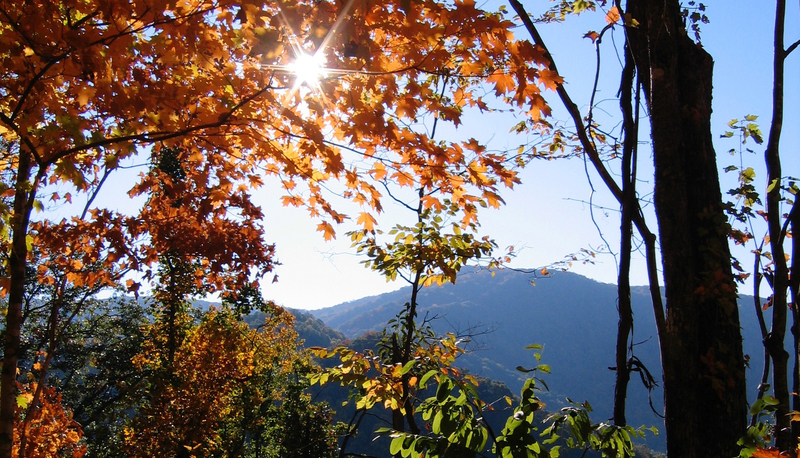 FireCreek Mountain is about 45 miles from Asheville Regional Airport so you will have to make your own arrangements for transportation to FireCreek. Most retreat participants rent a car upon arrival, and are often able to share expenses with others flying in for the retreat. You can also use Uber. Do I bring my own art supplies? Yes. Artists are responsible for bringing their own paints, brushes, easels and canvases. Upon registration, I provide you with a supply list. If you are flying and worried about bringing all your supplies, please know that everything on the supply list, including a travel floor or table easel, will fit in a suitcase and easily be 50 lbs. and under. FYI, you cannot take paints and mediums in carry-on luggage. Extra supplies can be provided at the retreat upon request. Will there be time to explore Asheville during the retreat? No, because of the busy retreat schedule and the distance to Asheville. Burnsville’s quaint and charming town square and main street are only ten minutes away, however, and hav many cute shops and galleries for local exploration. If you want to visit Asheville, I recommend you come a day or two before the retreat or stay after in Asheville to enjoy all it has to offer. What if I have special dietary or medical needs? I will send a questionnaire after you register regarding any specific diet restrictions and medical needs you may have. The meals at FireCreek are delicious and varied, but are not prepared for any one dietary modality. Your $150 deposit is non-refundable. 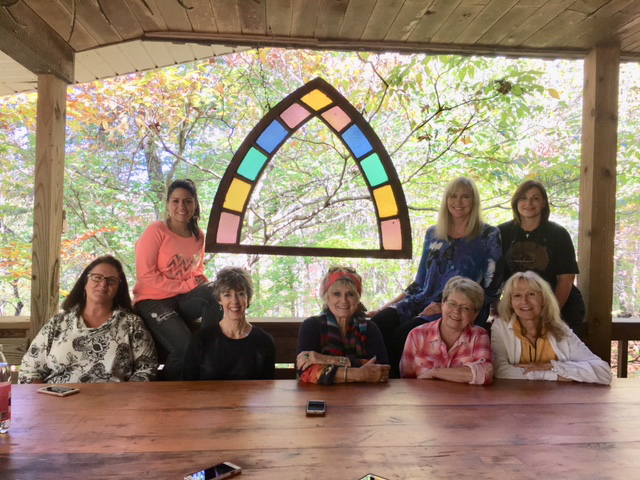 You will be refunded the balance if you cancel, or you can receive full credit (including the deposit) applied to a future Free to Create Art Retreat. There are no discounts for leaving the retreat early or arriving late. (I realize that personal and family emergencies and extreme circumstances do happen. To request an exception to the cancellation policy, please call or email me to discuss your situation.) If any retreat does not have the minimum number of participants and is cancelled, you will be given a 30-day advance notice. Please do not purchase your airline ticket before that time as I cannot be responsible for airfare cancellation fees. You will receive a full registration refund or, if you desire, it will be applied to a future retreat.